Homepage / Cat / Why Cats are better than Dogs? Calm calm! I will not say here that one animal is better than the other, more friend, or anything else. Today’s text will tell you how cats ended up giving themselves better than dogs during these several years as they live on the ground of our beloved planet Earth. 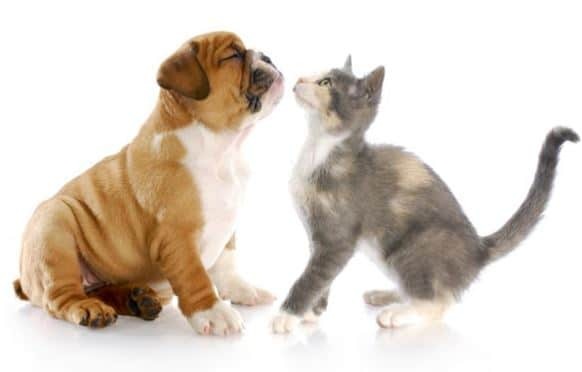 As you may know, domestic dogs and cats are varieties of animals that went through long processes of artificial selection until they became what we know today. The paths to domestication seem to have been very similar. When humans began to focus on groups, settling in fixed places and abandoning the nomadic habit, wild canine and feline species began to approach us. The most docile were selected to aid in the hunting and protection of homes and food stocks.Ok, the paths of the two animals were similar, so why say cats are better than dogs? The idea is that cats are better than dogs when it comes to survival. According to the analysis of more than 2,000 fossils of wild dogs and cats, researchers determined that felines take advantage when it comes to hunting and for carnivorous animals like them, being a better hunter is essential.This study was a partnership between the Universities of Gothenburg (Sweden), Lausanne (Switzerland) and São Paulo (Brazil). They analyzed what were the effects of competition between carnivorous hunters for each group and how one could directly affect the other. The result was favorable for cats, as it was observed that the action of cats created a decrease in the population of dogs, while the dogs had no influence on the size of populations of wild cats in different parts of the world.Although they are stronger, dogs lose to the cats in some other points that are more important when one is in the habit of hunting. Cats are much quieter and plan their attack very well before doing so. Another advantage of felines is the retractable claw. Cat’s nails are hidden and only show at the time of the attack, so they can be sharpened longer, as well as make the steps of these animals not so noisy, which leaves dogs a step behind cats when the hunt is summed up an ambush, for example.Another very interesting news about the evolution of cats is about the genome of the species, which was completed at the end of last year. Analysis of the genetic material of these cats showed that the artificial selection made by humans in search of more docile cats very quickly modified some genes present in these domestic animals compared to their wild relatives. Domestic cats present modifications in genes responsible for the production of neurotransmitters related to social behavior and learning, two characteristics required in the case of domestication.In addition, researchers in the genome of cats also realized that artificial selection led to the selection of genes involved in the development of fetal cats such as neural tube cells and also stem cells that are related to virtually everything from the formation of the skull as the hair color of these animals. This conclusion runs counter to long-standing questions, including by Charles Darwin, about the comparison and differences between domestic and wild cats. Previous post Why do Cats Lick each Other? Next post How to Tell if a Cat is in Heat?